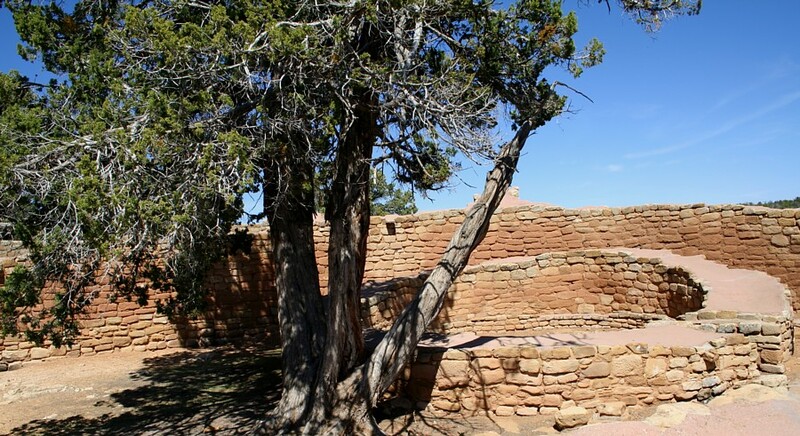 Mesa Verde National Park, an area rich in Ancestral Pueblo archaeological sites in Southwest Colorado, is noted for large, well-preserved cliff dwellings. 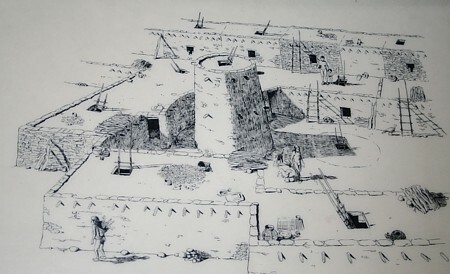 Occupation predates construction of the masonry pueblos in the large alcoves. 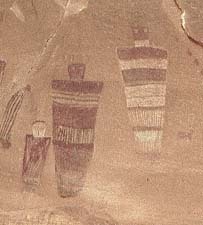 Of the 4,000 ruins in the park, 600 are cliff dwellings built and occupied between 1200-1300 A.D. Before the above-ground structures, the mesa-top dwellers built pit houses. Today, all phases of occupation are well-interpreted by the National Park Service. 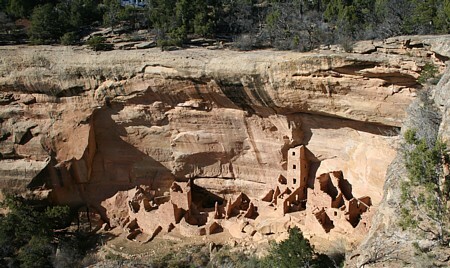 Cliff Palace viewed from across Cliff Canyon. consists of a double-walled structure surrounding two towers. 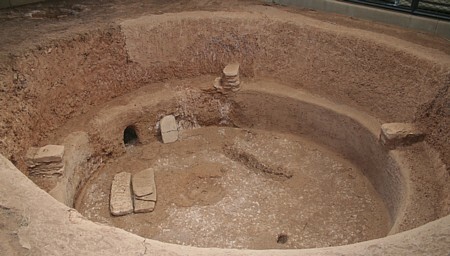 Surrounding communities may have gathered at the Sun Temple. 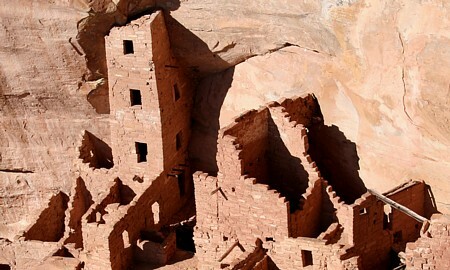 Nearby, there are over 30 cliff dwellings estimated to have housed up to 800 people. 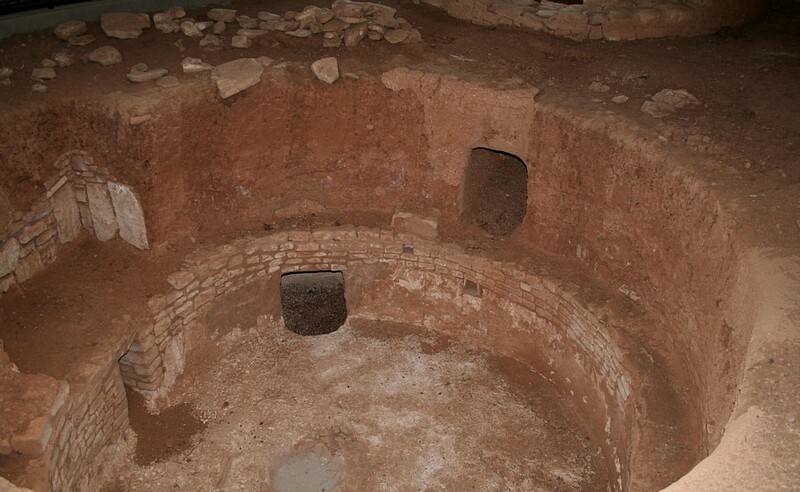 A reliable spring at the head of the canyon supported the concentration of a dozen cliff dwellings in the immediate Sun Temple-Cliff Palace area. 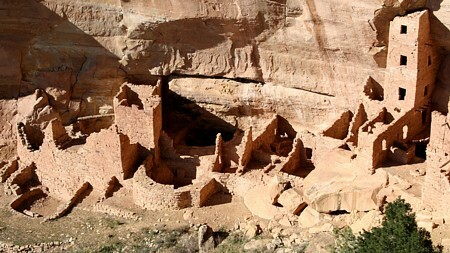 Square Tower House is one of the many ruins in Navajo Canyon, Mesa Verde National Park. Navajo Canyon contains 60 cliff dwellings along its 15 mile length. 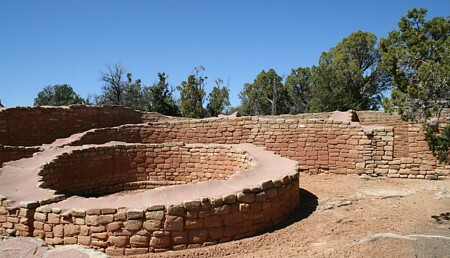 Square Tower House originally had 80 rooms and seven kivas. Two kivas retain portions of their roofs. 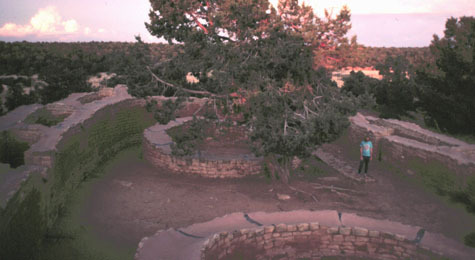 This view is from one of the pullouts along the rim road accessible via a short walk. 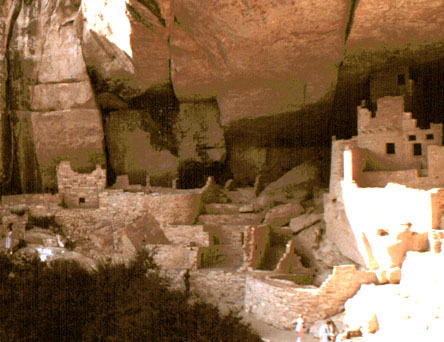 Mesa Verde Placemarks for Google Earth - 21 KB KML file. maps, and photographs of the park, its history, and related subjects.